Rediff.com » Movies » Are you up for this Oscar quiz? Are you up for this Oscar quiz? With just days to go before the Academy Awards, here's a fun way to test your Oscar Q. 1. 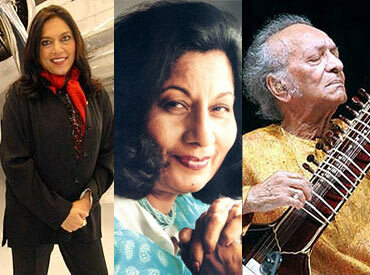 A R Rahman was not the first Indian to win an Oscar. Who was the first? The correct answer is Bhanu Athaiya. John Mollo and she were nominated in the Costume Design category for Richard Attenborough's Gandhi. They won. 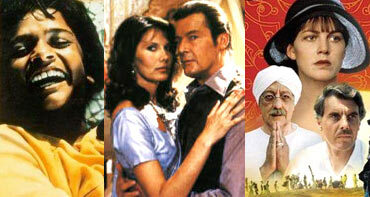 Other films nominated in the category for the 1982 Oscar included La Traviata, Sophie's Choice, Tron and Victoria/Victoria. Pandit Ravi Shankar was nominated for Best Music for Gandhi along with George Fenton. They lost. John Williams won, for E.T. Gandhi won Oscars for Best Picture, Best Director, Best Screenplay, Best Actor, Best Art Direction, Best Cinematography, Best Costume Design. It also won the Golden Globe for Best Foreign Language Film! Correct! John Mollo and she were nominated in the Costume Design category for Richard Attenborough's Gandhi. They won. 2. Two years after Gandhi's triumph, another film set in India was a front-runner at the Oscars. Its name? The correct answer is Passage to India. Directed by David Lean -- it was the great director's swan song -- it was nominated for 11 Oscars, but won only two, for Best Actress in a Supporting Role (the great Peggy Ashcroft) and Music (the great Maurice Jarre). Lean didn't win. Neither Victor Banerjee -- who played Aziz, in what must still be the biggest role an Indian actor has played in Hollywood -- nor the incomparable Alec Guinness, who played Godbole, were nominated. Passage was swept aside by Amadeus (it won 8 Oscars), something which a certain Baltimore doctor we know is upset about to this day. Correct! Directed by David Lean -- it was the great director's swan song -- it was nominated for 11 Oscars, but won only two, for Best Actress in a Supporting Role (the great Peggy Ashcroft) and Music (the great Maurice Jarre). Lean didn't win. 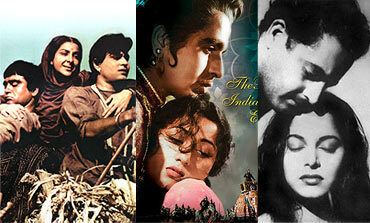 The correct answer is Mother India, in 1957. Mehboob Khan's epic starring the legendary Nargis in the title role lost to the Italian film The Nights of Cabiria, directed by Frederico Fellini. It starred Giulietta Masina, Fellini's wife, in the lead. It would take 31 years before another Indian film made it to the short-list: Mira Nair's Salaam Bombay. That film lost to Pelle The Conqueror, the Danish film directed by Bille August. Another movie in contention for the 1988 Oscar was the Spanish Woman on the Verge of a Breakdown, directed by Pedro Almodovar, much beloved by cinephiles these days, and Javier Bardem and Penelope Cruz's mentor. Correct! Mehboob Khan's epic starring the legendary Nargis in the title role lost to the Italian film The Nights of Cabiria, directed by Frederico Fellini. It starred Giulietta Masina, Fellini's wife, in the lead. 4. Caryn Elaine Johnson won the Oscar for Best Supporting Actress in 1990. Under what screen name do we better know her as? The correct answer is Whoopi Goldberg for Ghost, where she played the memorable Oda Mae Brown. Other actresses nominated that year were Annette Bening (The Grifters), a nominee for Best Actress this Oscars; Braco (Good Fellas); McDonnell (Dance With Wolves); and Diane Ladd (Wild at Heart). 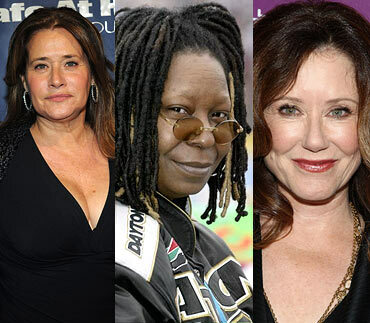 Whoopi had been nominated in the same category five years earlier for The Colour Purple, which was directed by Steven Spielberg and also starred Oprah Winfrey. Correct! Whoopi Goldberg for Ghost, where she played the memorable Oda Mae Brown. Other actresses nominated that year were Annette Bening (The Grifters), a nominee for Best Actress this Oscars; Braco (Good Fellas); McDonnell (Dance With Wolves); and Diane Ladd (Wild at Heart). 5. Alfred Hitchcock inspired directors the world over, including the likes of French master Francois Truffaut. Hitchcock's films won 50 Oscar nominations. How many Oscars did the Master of Suspense win, personally? The correct answer is 0. In what must be both bias and a travesty, Hitch was ignored by the American Academy of Motion Picture Arts and Sciences. Perhaps the fact that the Englishman made thrillers was held against him; perhaps it was the rumour that he was an unpleasant director on the sets; in all likelihood, the Academy and its members just didn't appreciate Hitch's craft that made him such a darling in Europe and elsewhere. When he made the chilling Rebecca, for instance, John Ford got the Oscar for The Grapes of Wrath. When he made Psycho, possibly the finest horror film made, another American of European origin, Billy Wilder, was honoured for The Apartment. Neither winner has stood the test of posterity like both of Hitch's classics. Correct! In what must be both bias and a travesty, Hitch was ignored by the American Academy of Motion Picture Arts and Sciences. 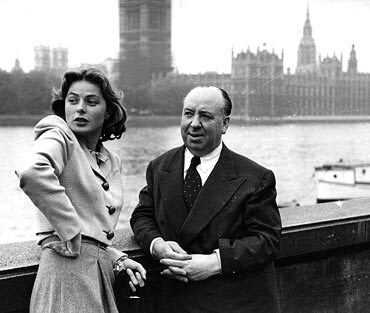 Perhaps the fact that the Englishman made thrillers was held against him; perhaps it was the rumour that he was an unpleasant director on the sets; in all likelihood, the Academy and its members just didn't appreciate Hitch's craft that made him such a darling in Europe and elsewhere.